March 19 is the feast day of St. Joseph, the husband of Mary and foster father of Jesus. The Bible calls Joseph a ‘just’ man. We know that he was an incredible example of following God’s plan for him and his family. He was simply and joyfully obedient to God, even in times of doubt and hesitation. He is the patron saint of fathers, immigrants, unborn children, workers, employment, against doubt, of a happy death, and of many countries and cities. 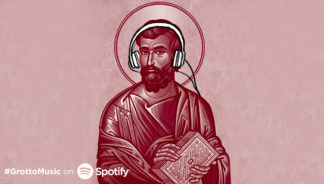 Get to know the patron of the universal church through this Spotify playlist inspired by his life — featuring artists for KING & COUNTRY and The Avett Brothers, and themes of hope and dreams.